Tetsuro Suzuki (Osamu Mukai) developed AI technology to diagnose patients. He is a researcher at a medical center run by an IT company. The AI developed by Tetsuro Suzuki receives a positive response because the machine is able to perform its task more efficiently compared to a human doctor. Shunpei Gamo (Atsuro Watabe) is a representative of the IT company and he insists to make further progress on the AI technology. Naoko Arizono (Hitomi Kuroki), who is president of the doctor's association, opposes that idea. Top Surgeon Chizuo Ueno (Taizo Harada) is uncomfortable performing surgery diagnosed by AI. Around this time, a patient's condition worsens and he dies. The patient underwent surgery performed by Chizuo Ueno. Journalist Haruo Tachikawa (Koji Yamamoto) learns that the patient diagnosed by AI has died and he investigates. 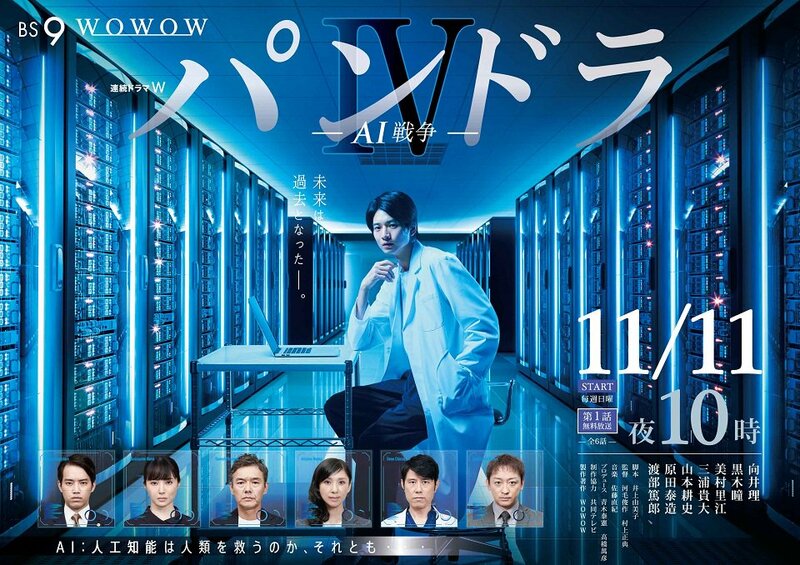 "Pandora IV: AI War" takes over WOWOW's Sunday 22:00 time slot previously occupied by "The True Culprit" and followed by "A Lone Scalpel" on January 13, 2019.